No doubt you have passed a field of daisies to stop and admire their beauty. Often considered a weed, daisies are tough plants that survive and even thrive in inhospitable conditions and are resistant to most pests and disease. Not only are these perky little plants robust, but they also have some amazing medicinal and nutritional benefits and can be used to make some seriously cool crafts. The word daisy comes from the Old English “daes eage” meaning “day’s eye.” This name refers to the way that these plants close up their petals at dusk and open them again at dawn to meet the sun. Daisies are actually two plants in one. The yellow florets in the center and the petals are different blooms and make a beautiful display together. Daisies make up almost 10% of all flowering plants on the planet. Daisies belong to the sunflower family and have very similar growing habits. Although white petaled daisies are common, they also come in rose, yellow, red, crimson and even purple. Bees love the look of daisies and visit them frequently. Daisies represent purity and innocence. Before we dig into all of the ways that you can use daisies, it is essential to go over some rules for foraging. These are especially important if you are planning on eating plants and using them medicinally. Before you go out into the wild on a foraging expedition, be sure that you know what you are looking for. Before you eat any plant, you need to be sure that it is not poisonous. If you are new to foraging make sure that you have a mentor and a good book or an app on your phone that will help you 100% correctly identify plants. Eating the wrong plant could make you very sick and even cost you your life. Never forage where pesticides or herbicides are used. Never harvest plants alongside roads. 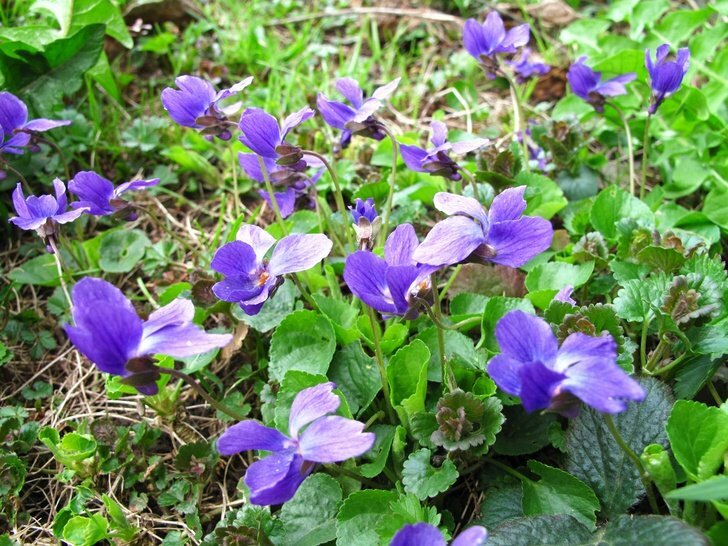 Never over forage – leave the majority of plants for the bees and wild animals. Know which part of which plants are actually edible. Know the foraging rules and laws in your area. For instance, it is generally illegal to forage in a National Park, but BLM land is usually fine. Only collect the part of the plant you are going to use. Don’t forage plants that appear unhealthy. Learn the dangerous species in the area you are foraging. Drinking a cup of daisy tea is a great way to promote energy and remedy respiratory conditions such as bronchitis, sinusitis, and coughs. Pour the water into a cup and add the daisies. Let it infuse for ten minutes. Strain the mixture through a sieve and muslin cloth. Drink when cool enough to consume. According to WebMD, wild daisies may cause an allergic reaction to those sensitive to the Asteraceae/Compositae plant family. If you have an abrasion on your skin, daisy salve is a fantastic way to promote healing. It works great for cuts, bruises, rashes, and even sore muscles. Fill a clean glass jar with daisy flowers. Cover flowers with olive oil. Run a butter knife around the inside edge of the jar. Place the jar in a sunny windowsill for two weeks to steep. Pour oil into a glass bowl on top of a pan of hot water. Add beeswax pellets, one teaspoon at a time. Check the consistency by adding a few drops to a glass with cold water. When it creates a sort of stalactite shape in the water, it should be ready. To double check, rub a little between your thumb and finger. Take off the heat and add essential oil. This salad is loaded with beautiful color and flavor and is almost too beautiful to eat. Nasturtiums from the garden wild rose petals, chicory flowers. Toss the greens and flowers together. Whisk the dressing in a small jar and pour on salad. Here are some entertaining ways to use daisies for crafts. It is a good idea to learn how to press these pretty flowers first as many crafts call for pressed flowers. Choose flowers that have most of their petals intact. Place the flower face upon two sheets of linen paper. Cover with two more sheets of paper. Place a heavy book or flower press on top of the paper and the flowers. Let your daisies dry under the press or book for at least two weeks. Carefully remove the book or the press and the paper. This sweet little craft courtesy of Love To Know is cute enough to give away as a gift. Paint the thin glue onto the exterior of the candle holder. Apply one sheet of the crumpled tissue paper on to the outside of the glass. Trim any tissue that hangs over the top edge. Repeat this process using the second piece of crumpled tissue. Put a little bit of glue on the back of the pressed flowers and arrange on the candle holder. Hold each flower in place for a few seconds so that it sticks. Using a clean paintbrush, apply two more pieces of tissue using the clear sealant. Trim any excess from the top. Let dry for two hours. You might have made these fun chains when you were a kid. Remember, you are never too old to play. Plenty of pretty daisies with flowers and stems and healthy open flowers. Cut a small slit down the middle of the stem with your fingernail. Don’t break it in half. If your fingernail is too short, use a plastic knife. Thread the stem of another daisy through the slit. Push the stem base through until it is snug against the slit. Repeat until the desired link – looping around to make a bracelet, crown or necklace. How about it, are you ready to have fun with daisies?